Launched in April 2016 by Lürssen, new yacht project Mistral is due for delivery in early 2017. Exterior lines are by the renowned designer Espen Øino, but no details of her interiors have been revealed as yet. Currently under construction at Dutch yard Oceanco, superyacht project Bravo is something of a mystery with very few details confirmed so far. What we do know is that she's 105 metres long, built from a steel hull and aluminium superstructure, with an MTU drivetrain and an expected 2018 delivery date. 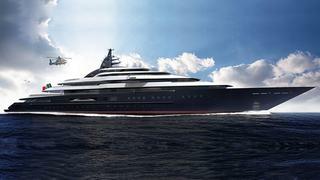 In September 2012, Moran Yacht & Ship announced the sale of this new 105 metre sailing yacht to be built by Oceanco. 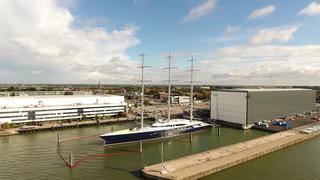 The largest sailing yacht ever built in the Netherlands, she’s being developed under the codename Project Solar. This awe-inspiring DynaRig sailing yacht will be the most revolutionary vessel ever built and features a unique array of green technologies. Accommodating 12 guests in six staterooms, Solar is scheduled for delivery in early 2017. Azimut-Benetti FB277 will be the second yacht over 100 metres built by the Italian yard. This historic order was announced at the Cannes Yachting Festival, when it revealed it would be built in steel and aluminium and to an in-house design. The first in-build pictures emerged in December 2015, showing that the steel hull was being built in three sections due its size. Meanwhile, its Rolls-Royce drivetrain is expected to push FB277 to a top speed of 18.5 knots. The sister ship to the Benetti project on the previous slide, hull FB275 is highly secretive. It is due to launch in 2019, but no further details are available at this stage. This new superyacht project is the largest of three from Azimut-Benetti on our list. FB272 is currently under construction in Italy ahead of a planned 2018 delivery date and Zaniz Interiors have been signed to create the decor. Its drivetrain is reportedly built on Caterpillar engines for a predicted top speed of 17 knots. 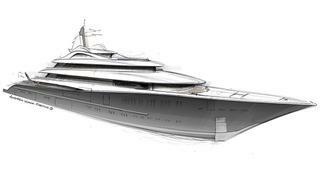 Burgess Yachts signed this 110 metre new build superyacht project in October 2012. 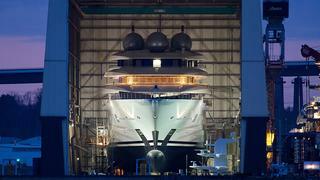 Hull number Y714, it will become the biggest Oceanco ever built when completed later this year. Twin MTU diesel engines are being fitted to Project Jubilee for a top speed of 18.5 knots. 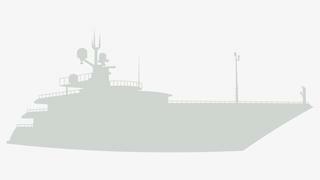 Upon delivery, this top secret project will become the new flagship yacht for a famous Dutch shipyard. No other details can be revealed for the moment. Project Palo Alto is a new 112 metre luxury yacht that’s currently under construction at Lürssen, with delivery slated for Spring 2018. The buyer has a long history of chartering "some of the largest and highest quality charter yachts in the world", according to Moran Yacht & Ship, which is managing the build and introduced the buyer. 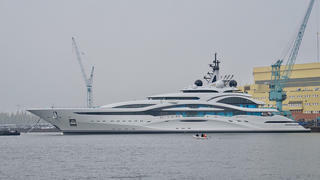 The superyacht, designed inside and out by Winch Design, features two helicopter pads, a 12 metre swimming pool, a resort-style spa and staircases "that to date have only been seen in palaces". A massive private owner’s deck will provide sanctuary, with up to 22 guests accommodated in a further 11 staterooms. Kleven, a Norwegian yard mainly known for their commercial products, is working on a new contract for a 116 metre explorer superyacht. K370 was given a technical launch in March 2016 and delivery is expected before the end of the year. 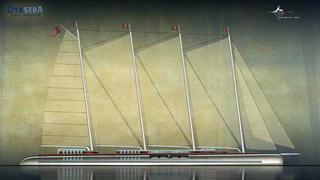 This impressive vessel is designed by Marin Teknikk for long expeditions in high seas. It will accommodate 66 passengers over seven decks. Special features will include a helipad, a helicopter garage, a swimming pool and a large main tender of 21 metres on the foredeck. K370 was recently shipped to Germany for final outfitting, with H2 Yacht Design taking care of the interior styling. One of the more mysterious projects on our list, very little is known about this yacht, apart from the fact that it is in-build at a German yard with a planned 2020 launch date and The A Group is responsible for her exterior design and naval architecture. Previously known under the project name Kay, the AMG 120 was designed by Cor D. Rover some years ago. The project started its life in Asia, and her fitting out started at Arista Marine Group in Croatia. 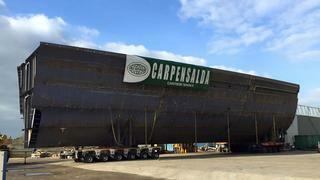 The hull was shipped to Malta more than two years ago, and the project was placed on hold. Styled by H2 Yacht Design, Project Jupiter is due to be delivered to its owner in 2017. Built to Lloyd’s Register class, its steel displacement hull will support an aluminium superstructure, while its interiors have been styled by March & White as part of the studio's first collaboration with the German yard. Lying in Citavecchia, this superyacht project has been under development for more than four years. Construction has been on hold since 2015, when builder Privilege Yachts went bankrupt. 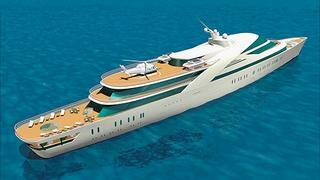 Key features planned for this yacht include five pools, a beauty parlour, cinema, two helicopter pads and a submarine that emerges from the side of the hull. Pictured in 2015 at an advanced stage of construction, Thunder is being built at German yard Lürssen to Lloyd’s Register class. 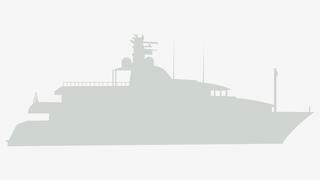 Its steel displacement hull will be fitted with a five-deck aluminium superstructure. Interior design details are yet to be revealed. 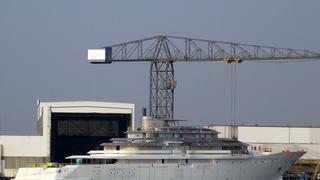 Like the 141 metre superyacht Yas, the Swift 135 is based on the hull of a Dutch navy frigate. 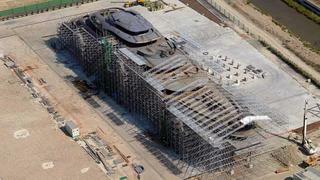 Its conversion has started at Abu Dhabi MAR using advanced composites and glass. Pierrejean Design Studio also created its design. The project has been on hold since 2014. Styled by Italian design duo Nuvolari Lenard, Project Redwood is the second-largest yacht currently under construction at German yard Lürssen. 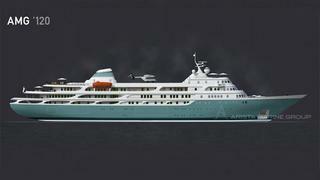 Built from a steel hull and aluminium superstructure to Lloyd’s Register standards, this six-deck displacement yacht will include accommodation for 36 guests across 20 cabins when completed in 2019. After more than five years in development, Dream Symphony is finally due to launch in 2017. On 9 February 2011, Dream Ship Victory, Dykstra Naval Architects and Ken Freivokh Design met at the Amstel Hotel in Amsterdam to finalise the design and technical proposal under the direction of Valeriy Stepanenko. Following this meeting, the project was approved. The keel laying took place at Dream Ship Victory’s facility in Turkey later in 2011. This sail-assisted motor yacht has been under development at German yard Nobiskrug for more than two years now, with sea trials successfully completed in 2015. 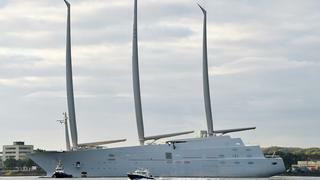 Sailing Yacht A is being built for Andrey Melnichenko, the owner of 119 metre Blohm & VossMotor Yacht A. Featuring the world’s tallest carbon yacht masts, Sailing Yacht A is due to be delivered in early 2017, when she will take her place as one of the largest superyachts in the world. As her delivery date approaches, further details are emerging all the time. 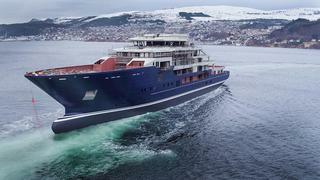 We now know that she will feature eight decks and an MTU powertrain that will deliver a maximum speed of 21 knots. 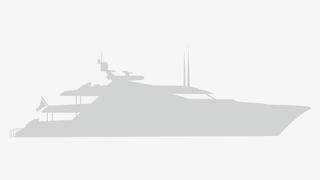 The largest new yacht project in the world is also one of the biggest secrets in the superyacht industry. Very few details are known about this mammoth vessel yet, apart from that construction has begun at German yard Lürssen ahead of a planned 2018 launch and the steel hull will support an aluminium superstructure.